Figure 1. Bone marrow core biopsy specimen shows loose collections of histiocytes (hematoxylin-eosin, original magnification ×400). Figure 2. Small material (possibly organisms) is apparent on staining (Brown-Brenn, original magnification ×1000). Figure 3. Small intracellular coccobacillary organisms consistent with Brucella species (Dieterle, original magnification ×1000). Blood cultures were positive for Brucella melitensis and acute serum titers testing for Brucella species were positive at 1:320 by slide and tube agglutination. The bone marrow aspirate was not cultured; however, Dieterle stains of a bone marrow core specimen revealed small intracellular coccobacillary organisms within the histiocytic aggregates, consistent with Brucella species. No definitive organisms were seen on a tissue Gram stain, although several histiocytes contained small gram-negative material suspicious for bacterial organisms. The patient was treated with a 6-week course of gentamicin and doxycycline with resolution of symptoms and no recrudescence. Disseminated brucellosis is a zoonotic infection of humans due to 1 of 4 species of organisms: B melitensis, B abortus, B suis, and B canis.1 The species infecting humans is related to the animal host transmitting the disease. In the southern United States, a common cause of infection is exposure to unpasteurized goat's milk products from Mexico.1 Transmission between humans has not been reported.2 The clinical presentation and course are variable but are generally characterized by slow onset and recurring fevers.3 Treatment depends in part on age. 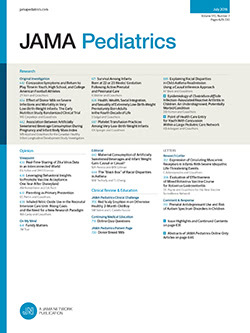 Although the drugs of choice have been tetracycline for older children and trimethoprim-sulfamethoxazole for younger children,2 most patients now receive combination therapy to reduce recurrences. The differential diagnosis of increased numbers of foamy histiocytes in the bone marrow is rather broad. Foamy histiocytes are notable in numerous storage disorders, including Gaucher disease, Niemann-Pick disease, Wolman disease, and others.4 Histiocytic disorders, such as Langerhans cells histiocytosis, chronic granulomatous disease, and hemophagocytoses, should also be considered. Additionally, foamy histiocytes and loose granulomas may be seen with numerous types of infections besides brucellosis, such as leishmaniasis, tularemia, listeriosis, mycobacterioses, mycoses, and miscellaneous bacterial infections. Accepted for publication September 1, 1997. Corresponding author: Van H. Savell, MD, Slot 820, Arkansas Children's Hospital, 800 Marshall St, Little Rock, AR 72202 (e-mail: savellvanh2@exchange.uams.edu).